A group of old university friends leave the bright lights of London and travel to Unst, Shetland's most northerly island, to celebrate the marriage of one of their friends to a Shetlander. But late on the night of the wedding party, one of them, Eleanor, disappears - apparently into thin air. It's mid-summer, a time of light nights and unexpected mists. The following day, Eleanor's friend Polly receives an email. It appears to be a suicide note, saying she'll never be found alive. 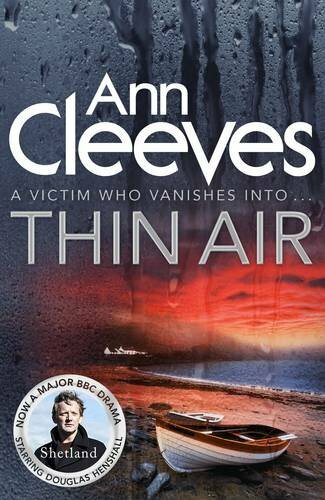 And then Eleanor's body is discovered, lying in a small loch close to the cliff edge.Detectives Jimmy Perez and Willow Reeves are dispatched to Unst to investigate. Before she went missing, Eleanor claimed to have seen the ghost of a local child who drowned in the 1920s. Her interest in the ghost had seemed unhealthy - obsessive, even - to her friends: an indication of a troubled mind. But Jimmy and Willow are convinced that there is more to Eleanor's death than they first thought.